I used to hear it said that the world hates a complainer. However, is the world not full of whiners and complainers these days? The average SJW (social justice warrior) is nothing more than a pale-skinned, black-clothed, fit pitcher with unnaturally-colored hair and absolutely drunk on whine (see what I did there?). Turn on practically any news station and all you will hear is complaining about something Trump did or didn’t do. Say the wrong thing to the wrong people and off they’ll trot to the nearest complaint-filing station and whine and complain about how their feelings were hurt. And, sadly, many Christians are no different; they live like the world in the world and then gripe and complain when the world around them treats them with contempt. Aren’t we supposed to be different? How can we be “lights in the world” if all we do is gripe about the darkness? You may have thought that when I said that I wanted to “avoid whining and complaining” that I meant the kind of whining and complaining that people do when they don’t get their way. If so, you are only partly correct. Sure, I want to complain less about stuff and things, because, after all, living here in America makes me one of the richest people in the world! What have I got to complain about? But what I’ve really got to watch out for is the type of whining and complaining that comes when one looks with disgust at a fallen, sinful world and yet does nothing to make a difference. Jesus said that we are to let our “light so shine before men, that they may see [our] good works, and glorify [our] Father which is in heaven” (Matthew 5:16). If all we do is complain about what’s wrong and never shine the light of the gospel into the darkness, the darkness will never flee, it will be ever-present and grow darker, and we will wind up the antithesis of Philippians 2:14… we will find ourselves guilty, harmful, not acting like “sons of God,” and rebuked by the very crooked and perverse nation we complain about. Lord, help me to be a light-bearing changer instead of a dim whit complainer. Amazingly, the answers are not all the same, nor in some cases even grounded in reality. However, it is imperative to understand that we must define this God-killer, because its definition will determine our conclusions and help to clarify our assumptions. To start, evil must be understood to be an adjective. Evil is a description of something that is not good. Evil is not a thing. The word “evil” only describes the thing, the thought, and the action. Technically, “evil” does not exist, only what it describes. So then, if evil is a description, how is it that we come to use the adjective, or as Lewis put it, the “crooked line,” without first having some idea of what is a “straight” one? Defining what is good is as important as defining evil. To know what is evil, we must first have some assumption as to what is not evil. The crazy thing is that if God does not exist, and man is nothing more than a collection of random matter, both good and evil are purely relative – their existence is based purely on one’s perspective. So, in other words, the one who says that there is no God, based on the existence of evil, is literally basing his belief on pure opinion, not on anything objective. Therefore, in order to bring an accusation against the goodness of God, one must have a base line. What is the standard by which we determine what is good and what is evil? So then, according to Twain, God could not exist because if He did, He would act consistent with our understanding of what a good and loving earthly father would do. In other words, if God cannot, in all His perfection, behave better toward His children than the most common man, His credentials are therefore revoked, and He must cease to exist. However, this is so illogical. Who are we to say that God, if He is perfect, and we are imperfect, ever treats His children poorly? Do the protesting cries of a toddler who has had poison taken from his grasp carry more weight than the decision of the earthly father to take it away? How, then, are we to automatically assume that the infantile tendencies of finite man are wiser than the infinitely Mature? Using Man as a baseline for what is good and evil is pure arrogance. In reality, the problem of evil is really a problem for the atheist. He, who denies the existence of a Creator and accepts only the realities of evil in the world, essentially has nothing about which to complain. Everything should be just fine and dandy, but it’s not. The atheist knows that evil things happen to both good and bad people. He sees the hurt, feels the pain, and begs for justice. The reality of evil in the world causes men to cry out for justice; for things to be made right. This is a problem, though, because knowing that a crooked line is not straight hints at the fact that a Line-drawer exists. They say that nature is good, and if anything, God is evil for trying to get man to behave contrary to the very way he was created to behave. One guru said, “It seems that for those who worship God, the opposite to God is not that which is ‘evil,’ but that which is natural.” He said of animals, comparing them to men, “They don’t worship God, they don’t go to church, they don’t have any theology. They don’t have any feeling of guilt, they are simply natural.” (Osho 2009) In other words, if there is evil in the world, it is because our belief in God has inflicted it. These people, many of which hold on to hope as long as they can, finally succumb to their doubts and conclude that the only way to explain away the pain is to admit that it is just part of life, part of the natural world, part of what makes us human; alone, in our quest to make life easier, free of pain, free from evil; alone, without God. These are the ones, I believe, that lure more away from the faith than any Darwinist. They are the ones who have seen evil face-to-face and cannot fathom a God who would allow it to continue. And because their experiences are so painful and tragic, the devout are left speechless and without explanation. Ellie Wiesel is a good example. Wiesel was a teenager when he saw his family murdered in the Nazi death camps. But it was only after witnessing one particular act of horror – the slow, hanging death of a young boy – that he turned away from his faith in God. In the book Night, his Nobel prize-winning autobiography, Wiesel said he heard a man behind him ask, “Where is God now?” As he stood there, being forced to stare into a pitiful, wide-eyed, swollen face of a dying child, a voice within replied, “Where is He? Here He is – He is hanging here on the gallows…” (Wiesel 1982) Because there was no justification, even in the big scheme of things, Ellie Wiesel’s God died with the executed boy. But as sad as it is, without God, who can say what happened to that boy was any worse than the slaughter of an animal? Are we not all just animals – some more evolved than others? Without God, evil is relative to one’s desires and personal pleasure. Does it really even matter whether or not God could do anything about evil in the world when the whole question is moot if He didn’t exist? With God, evil is defined as that which is against His law, that which stands opposed to His standards, and that which describes all who take pleasure in such rebellion. Without God, evil is just a matter of opinion. Lewis, C. S. “Atheism.” In The Quotable Lewis, by C. S. Lewis, 59. Wheaton: Tyndale House Publishers, Inc., 1989. Osho. The God Conspiracy: the path from superstition to superconsciousness. New York: Osho Media International, 2009. Stackhouse, John G. Can God Be Trusted. New York: Oxford University Press, 1998. Tonie Doe Media. In The Atheist’s Bible, 129. New York: Harper Collins, 2007. Wiesel, Ellie. Night. New York: Bantam Books, 1982. So then, if evil is a description, how is it that we come to use the adjective, or as Lewis put it, the “crooked line,” without first having some idea of what is a “straight” one? Defining what is good is as important as defining evil. To know what is evil, we must first have some assumption as to what is not evil. The crazy thing is that if God does not exist, and man is nothing more than a collection of random matter, both good and evil are purely relative – their existence is based purely on one’s perspective. So, in other words, the one who says that there is no God, based on the existence of evil, is literally basing his belief on pure opinion, not on anything objective; therefore, in order to bring an accusation against the goodness of God, one must have a base line. What is the standard by which we determine what is good and what is evil? So then, according to Twain, God could not exist because if He did, He would act consistent with our understanding of what a good and loving earthly father would do. In other words, if God cannot, in all His perfection, behave better toward His children than the most common man, His credentials are therefore revoked, and He must cease to exist. However, this is so illogical. Who are we to say that God, if He is perfect, and we are imperfect, ever treats His children poorly? Do the protesting cries of a toddler who has had poison taken from his grasp carry more weight than the decision of the earthly father to take it away? How, then, are we to automatically assume that the infantile tendencies of finite man are wiser than the infinitely Mature? 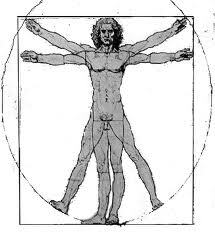 Using Man as a baseline for what is good and evil is pure arrogance. In reality, the problem of evil is really a problem for the atheist. He, who denies the existence of a Creator and accepts only the realities of evil in the world, essentially has nothing about which to complain. Everything should be just fine and dandy, but it’s not. The atheist knows that evil things happen to good people, as well as bad. He sees the hurt, feels the pain, and begs for justice. The reality of evil in the world causes men to cry out for justice; for things to be made right. This is a problem, though, because knowing that a crooked line is not straight hints at the fact that a Line-drawer exists. Of course, there are others who take a different approach. They claim that God does not exist except in the evil intentions of his followers to control others through guilt. They claim that God is just a fabrication of priests to keep mankind from behaving “naturally.” They say that nature is good, and if anything, God is evil for trying to get man to behave contrary to the very way he was created to behave. One guru said, “It seems that for those who worship God, the opposite to God is not that which is ‘evil,’ but that which is natural.” He said of animals, comparing them to men, “They don’t worship God, they don’t go to church, they don’t have any theology. They don’t have any feeling of guilt, they are simply natural.” (Osho 2009) In other words, if there is evil in the world, it is because our belief in God has inflicted it. But for the majority of the hurting world, pain is real, loss is real, and evil is manifested daily. Many see the things that happen to innocent people, especially children, and wonder, “If there is a loving God, why doesn’t he do anything about this?” These people, many of which hold on to hope as long as they can, finally succumb to their doubts and conclude that the only way to explain away the pain is to admit that it is just part of life, part of the natural world, part of what makes us human; alone, in our quest to make life easier, free of pain, free from evil; alone, without God. These are the ones, I believe, that lure more away from the faith than any Darwinist. They are the ones who have seen evil face-to-face and cannot fathom a God who would allow it to continue. And because their experiences are so painful and tragic, the devout are left speechless and without explanation. Ellie Wiesel is a good example. Wiesel was a teenager when he saw his family murdered in the Nazi death camps. But it was only after witnessing one particular act of horror – the slow, hanging death of a young boy – that he turned away from his faith in God. 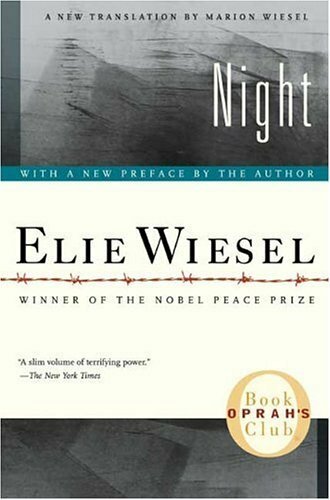 In the book Night, his Nobel prize-winning autobiography, Wiesel said he heard a man behind him ask, “Where is God now?” As he stood there, being forced to stare into a pitiful, wide-eyed, swollen face of a dying child, a voice within replied, “Where is He? Here He is – He is hanging here on the gallows…” (Wiesel 1982) Because there was no justification, even in the big scheme of things, Ellie Wiesel’s God died with the executed boy. But as sad as it is, without God, who can say what happened to that boy was any worst than the slaughter of an animal? Are we not all just animals – some more evolved than others? To me, the problem of evil is not a problem for the believer, but for the non-believer. Aside from the theological arguments about the character of God, without God, to turn Hume’s question around, “whence then is evil?” Without God, evil is relative to one’s desires and personal pleasure. Does it really even matter whether or not God could do anything about evil in the world when the whole question is moot if He didn’t exist? With God, evil is defined as that which is against His law, that which stands opposed to His standards, and that which describes all who take pleasure in such rebellion. Without God, evil is just a matter of opinion. That is the real problem of evil.